The visual outline is the line or set of lines that define a shape or figure. By limiting the shape, the lines isolated it in space or composition. They are the outlines that configure the shapes. The stroke makes the contour line or outline. It will determine whether the stroke is more or less thick, more or less bounding and closed, or whether it will be discontinuous, for example. The silhouette is the full form that can be drawn or cut by a delimiter and clearly visible contour. 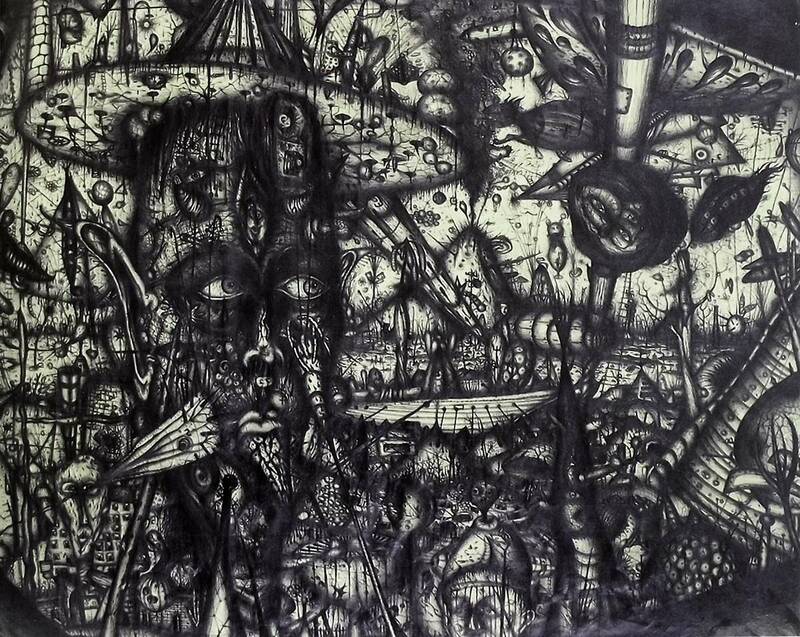 The Island II (Man on crocodile), by Mexican artist Carlos Luna. De 1998 y mide 118 x 73 cm. Gouache on Amate paper. It is a work with great interest on the visual outline. The figures are limited by the contrast with the background. These silhouettes are strong but, being so black and the crocodile is so closeto the man, that they are almost together in the same shape. 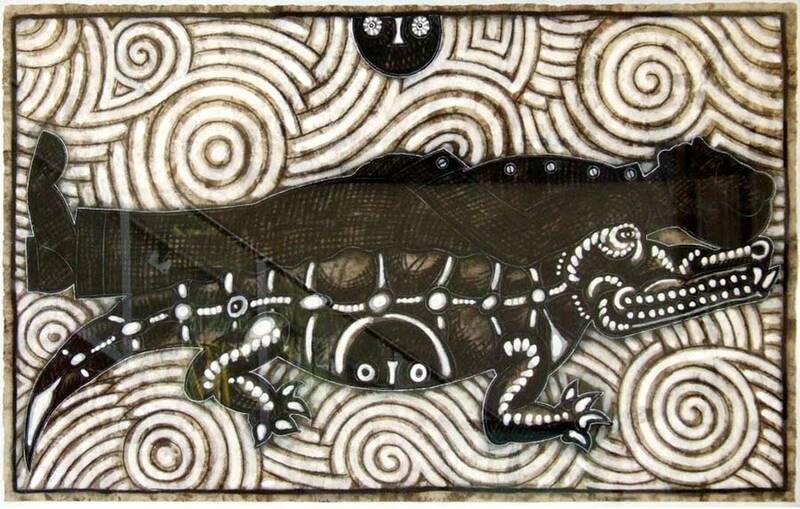 The outline created with a fine white lines on the edges of each silhouette, is defining that one is a man and the other a crocodile, and thanks to these outlines the work is better understood. They are clearly visible and distinguished strokes. The marked outlines are better seen. 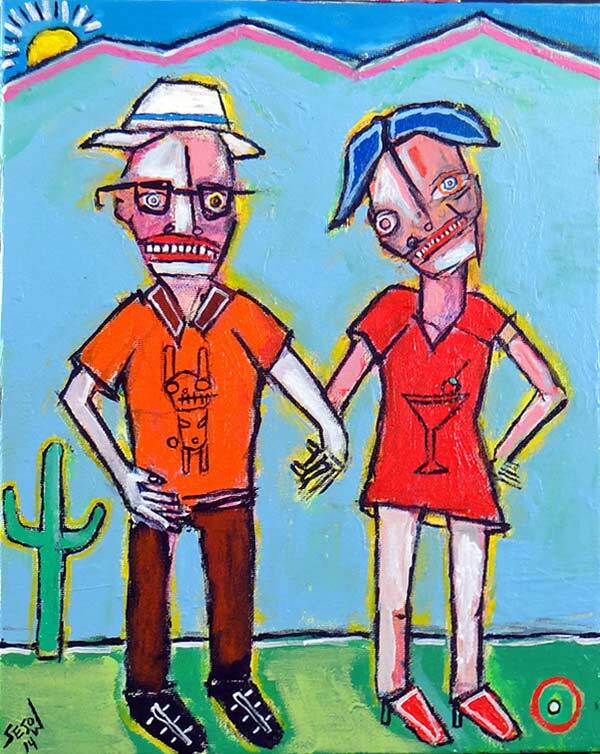 Heritage (herencia), by Matt Sesow, is a painting with strong outlines on the characters. It´s used in the Expressionists and strong styles. The lines fade under the painting, with atmospheric effects, and even sometimes, purposefully breaks made to break the line. 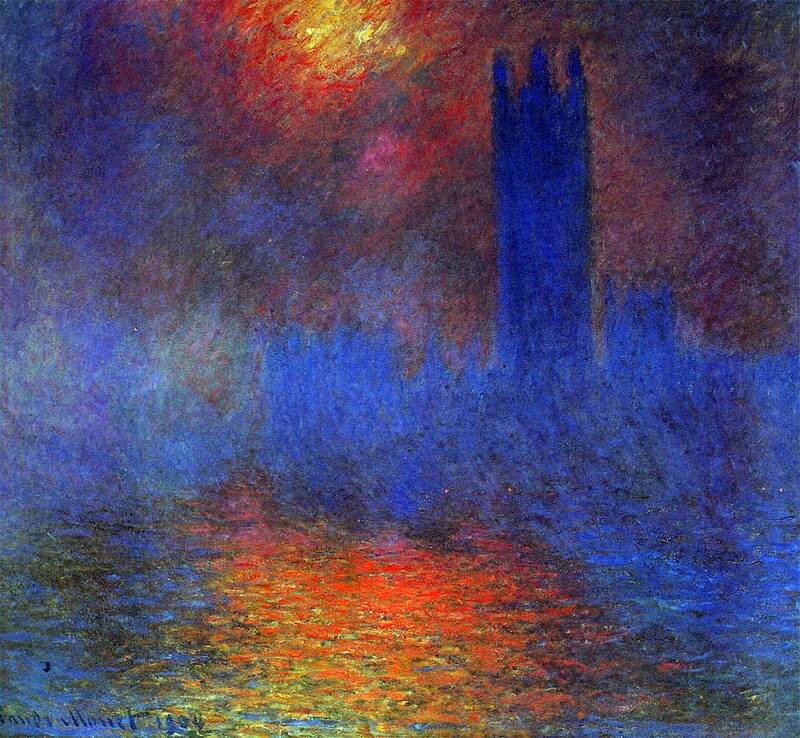 Monet painting, London Parliament at sunset. The black outlines are very subtle and the type of brush fades it. In the realistic and hyper-realistic paintings the outlines are also very subtle, it is said that the outline does not exist in nature or reality. The basic outline shapes are square, rectangle, circle, triangle, star, and all polygonal shapes (hexagon, octagon, etc..). After these shapes that contain the minimum of lines capable of creating an outline, there are infinitely more complex forms created with more and more outlines. In the school of Bauhaus a lot of visual elements were studied independently. Therefore, the artworks played with simple geometric shapes, where the path was visible. 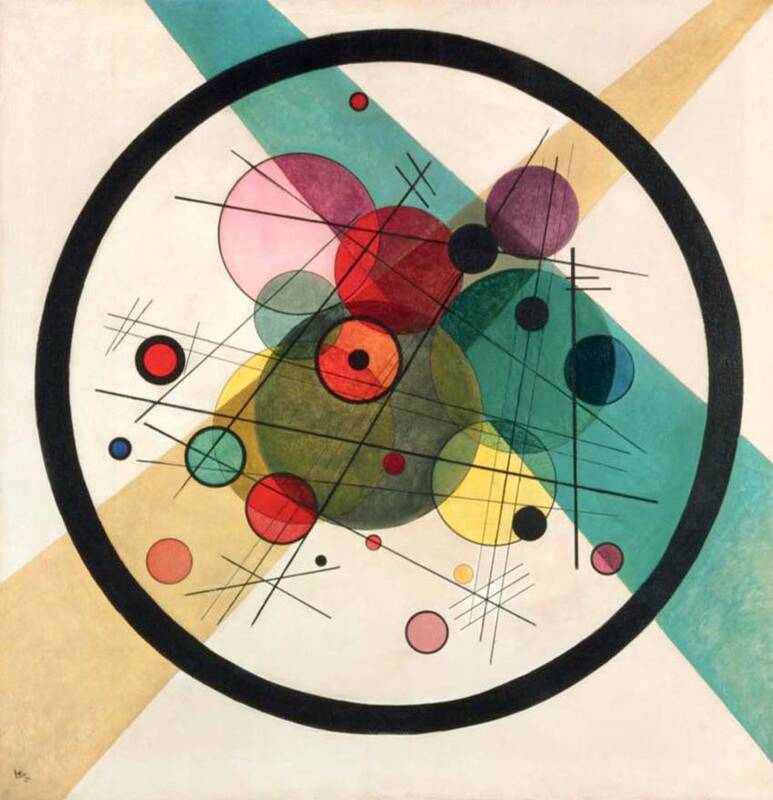 Circles within a circle, by Kandinsky, 1923. Arnulf Rainer drew this picture called The diver in 1949. Complexity of lines makes more confusing to see the outline of the figures. 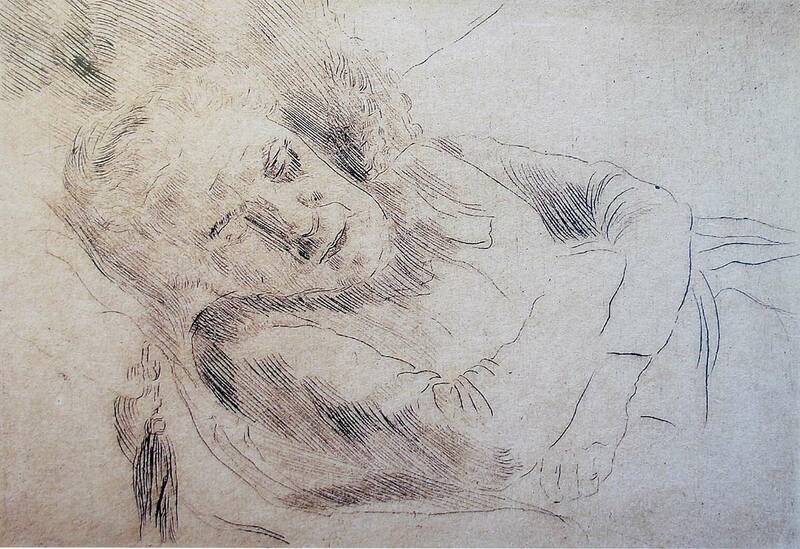 La dormeuse (Sleeping), drawing by James Ensor. 1887, Etching on old laid paper. Drawing drawn with dashed lines, which define the figure perfectly and simultaneously they are loose, free, active and they allow air to circulate, while relaxing our view hile the beautiful lady still asleep. It loose power at the outlines but it gains a expressive softness. 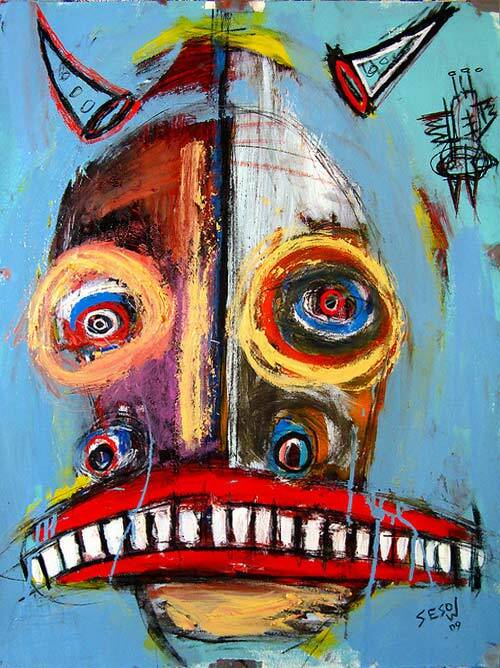 Another painting by Sesow Matt with very pictorial strokes. For example the circles in the eyes. The outlines also can be filled with color or not, as in this case. This is why a shape and a outline are not the same, although sometimes, the contour and the shape are attached. Is a extra thick outline what upset your painting? Maybe a thicker outline would make more expressive your drawing? What if the line delimiting the figure were only hinted? Or for example … What is the main outline of your painting and how much space is limiting? Good luck with your visual outlines!